Harry’s face is priceless. Thank you, Nora Ephron. 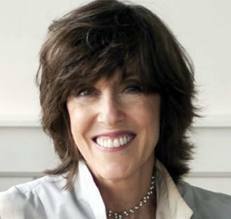 A strange thing happened to me last night when I heard Nora Ephron had passed away. I became incredibly melancholy. And sleepless. I wanted to cry. I wanted to say “Why did Leukemia have to take her so young, just as it did my grandfather?” She, only 71; my grandfather, only 63. There are no answers to be had, unfortunately. I am blue today, and I didn’t even know her. But I did know her. I knew her through her amazing works. When people ask me which writers I admire most, Nora Ephron always tops my list. But here’s the thing: I quote “When Harry Met Sally” more than I quote any other movie. And it isn’t even a contest. The brilliance of Ephron’s writing will live on. For example, during one scene, Marie is trying to fix Sally up with someone as she goes through her Rolodex and says to Sally: “I’ve got the perfect guy. I don’t happen to find him attractive, but you might. (to Alice) She doesn’t have a problem with chins.” It’s so brilliantly funny, we use this line all the time. She doesn’t have a problem with chins. Laugh out loud funny. Because of Ms. Ephron’s quick wit and ability to lure us into her films with memorable dialogue, my family and I call everything we don’t like “stupid, wagon-wheel, Roy Rogers, garage-sale coffee tables.” We can’t help ourselves. Ms. Ephron’s two most recent books, “I Feel Bad About My Neck,” and “I Remember Nothing,” are hilarious. I reference her quite a bit when I blog, because her writing is so phenomenal—and it resonates with readers. Whenever my friends and I talk about aging, I always tell them to love their necks, so they don’t have to feel bad about them as Ms. Ephron did. From “Silkwood,” to “Sleepless in Seattle,” to her amazing directing of “Julie & Julia,” she’s entertained us through the years. I wish I didn’t have to write this blog post. I wish she were still among the living, but believe me, Ms. Ephron, you will always be adored and missed. And quoted. When Harry Met Sally is one of my favorite movies! Then I read the screenplay and loved it even more! RIP Nora Ephron! She definitely will be missed. Great blog post Professor Verni. I have shared this on Twitter! Thanks, Kristin! I’m glad you like her as well. She was brilliant. Such a talent, and she will be missed, for sure. I fell in love with her writing in the mid-seventies when someone (my sister?) gave me a copy of Crazy Salad. Her books, as well as her films, still draw me in. I think I would sell my soul just to have been able to write a script as clever and insightful and funny as “When Harry Met Sally”…a classic forever! 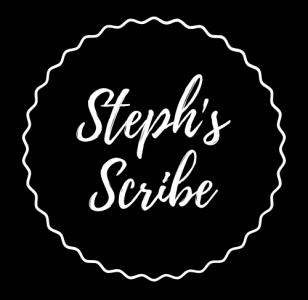 Steph: Now I have more books I want to read by Norah Ephron – Crazy Salad, I Love My Neck, etc. As you and so many have shared, her book and movie lines are priceless — because they are so REAL LIFE. Thoughts we think, but aren’t always able to say them in such a glib way! Those lines from When Harry Met Sally will be quoted forever. They are part of our vernacular and culture. Sally in car with Harry asks if men wouldn’t want to seduce ugly women, Harry says, “No, we pretty much want to knock them up, too”. (paraphrased, I think). Of course, choosing Crystal and Ryan for the movie roles was perfect casting. Their facial expressions were funny in themselves!